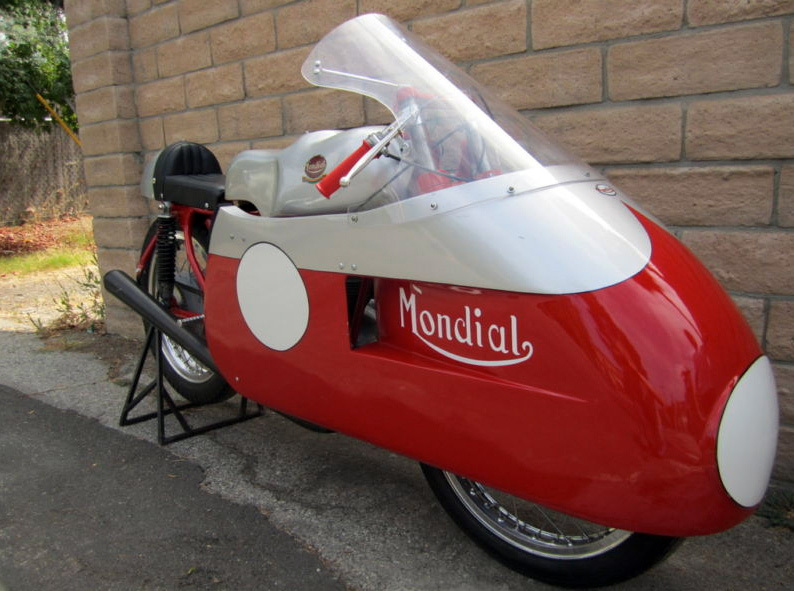 This exceptional motorcycle was built in the early 1960s as a club racer. 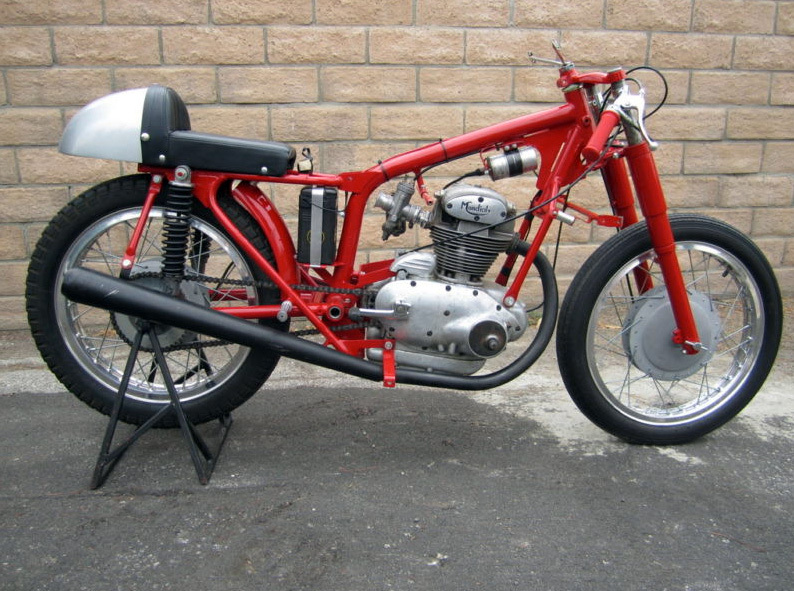 Highly modified DUCATI frame fitted with a 1954 MONDIAL engine. In October 1957 the F.I.M. (International Motorcycle Federation) banned “Dustbin” fairings from Grand Prix races but these full fairings were still used in club races where every little bit of extra speed was needed from these small capacity racers. 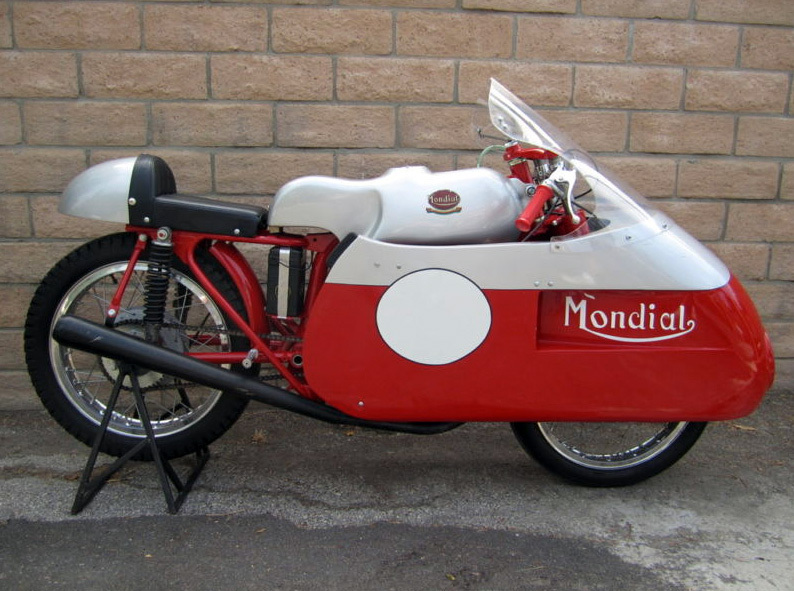 Circuit racing in Europe in the early 60s was very popular in Europe but most of these period race bikes have since gone to motorcycle heaven! 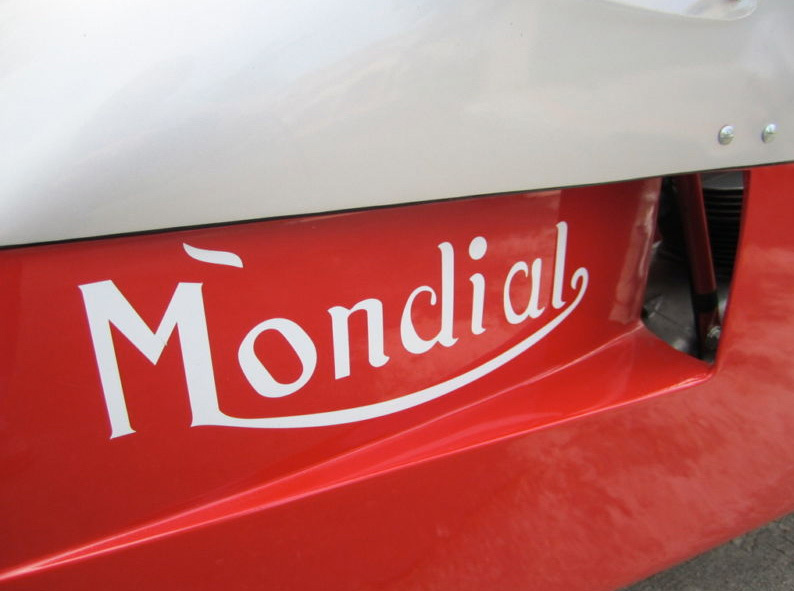 Restored several years ago and not raced since. 125cc. 4 stroke. 4 speed. Ledermann Racing Team - "It Takes Two"